Hort Camp Sparks Interest in Plants! 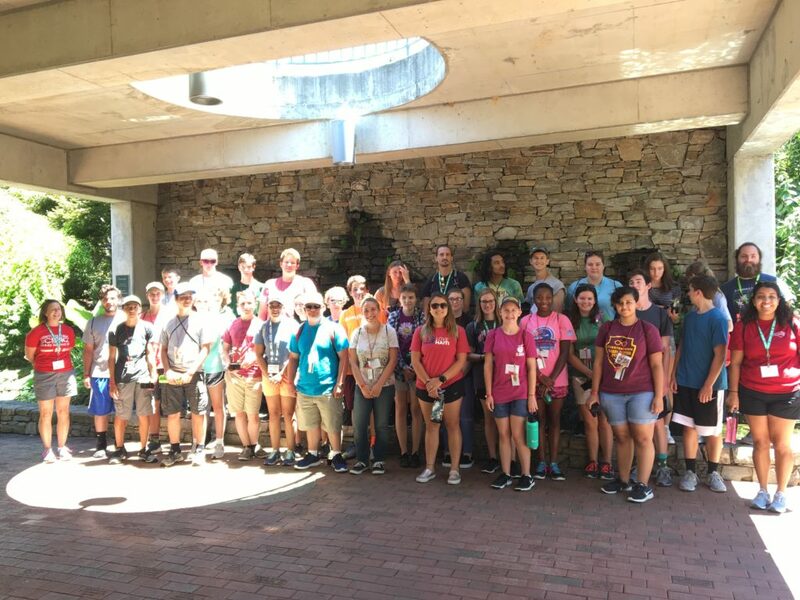 The Horticultural Science Summer Institute is a weeklong, residential, pre-college program at NC State University for high school students across the country. Since 2012, this summer experience has sparked youth interest in the multi-faceted field of horticulture through experiential workshops. On a typical camp day, youth might find themselves sitting on a tree limb 30 feet off the ground and trying to determine which branches need pruning for good tree health. Or they might be problem-solving water-holding and drainage challenges in potted nursery plants by experimenting with different soilless media substrates. 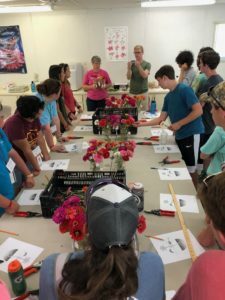 From propagating lily bulbs to making genetic crosses on petunias, the week that youth spend at “hort camp,” builds a strong interest and enthusiasm for the plant world. Hands-on workshops are led by faculty, staff and graduate students in the Department of Horticultural Science and with our partners at the J.C. Raulston Arboretum. Field trips to local farms, nurseries and other innovative horticultural businesses show the potential careers within the field of horticulture. 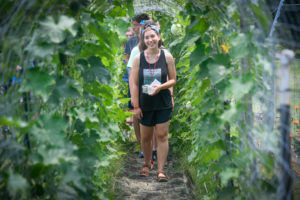 Youth that have participated in the Horticultural Science Summer Institute have gone on to enroll in a horticulture or ag-related degree program with eventual careers in the agricultural field. Other youth come with an interest in the environment and gardening and simply enjoy a life-long interest and awareness of the importance of agriculture in our daily lives. Workshop on post-harvest physiology with the floriculture research group.